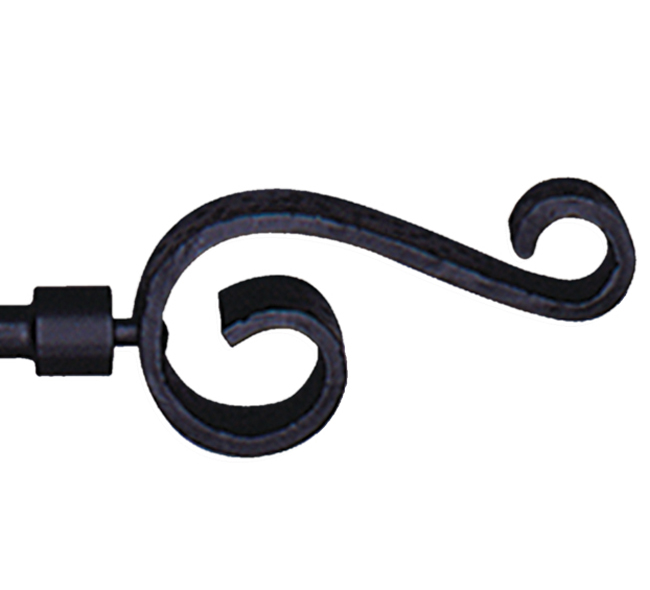 An elaborate Distressed Scroll Rod in Black Hammered Finish adds drama and presence to this beautiful rod. Sturdy, versatile metal construction and easy to hang. This is a large scale finial with a 1 inch diameter hanging rod. Telescoping width from 28 inches to 48 inches. Scroll finial is 5 inches wide and 2.5 inches tall. ~ Ships from the manufacturer. Allow 1 to 2 weeks. Cannot express ship.